The popular video game has proven a useful tool for community engagement. One of the best-selling video games of all time, Minecraft immerses players in a 3D-generated world where they are able to build spaces using a variety of different cubes. With no definitive goal, players are free to create their own worlds from the cubes, which represent various materials such as dirt and stone. Since 2012, the games Swedish developers have been collaborating with the United Nations on an innovative programme in which the game is used as a community participation tool in the design of urban public spaces. Touted as one of the few video games that are actually beneficial for children, Minecraft has a reputation for inspiring confidence, creativity, teamwork, problem solving and resource management skills in its players. 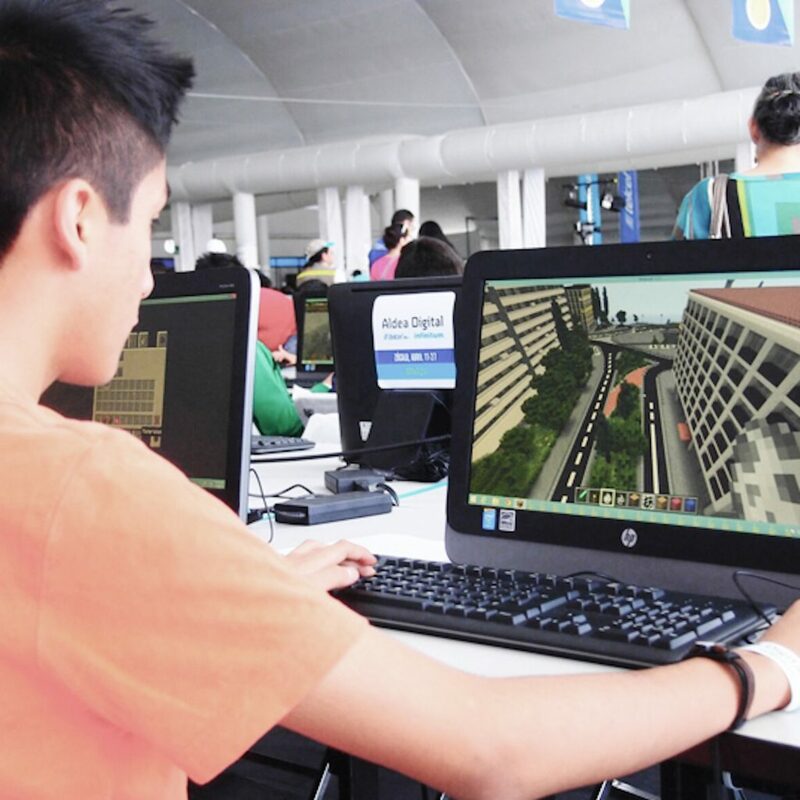 Through the Block by Block Foundation, a charity set up by the game’s developers, Mojang, and Microsoft, UN-Habitat and partners are bringing people together to visualise their ideas in Minecraft, and present these to city authorities and local government officials. Their designs are then utilised in the design of real public space improvement projects. Vital for the successf of cities, particularly developing ones, public spaces like streets, pavements and parks are key to developing a sense of community, civic identity and culture within cities. Promoters of social interaction, economic exchange and cultural expression, these spaces are also critical for urban infrastructure. Still, spaces of this nature are majorly lacking in many cities. Through Block by Block poor communities are becoming involved in the design of their own public spaces. Through community mobilisation, groups of 30-60 people living and working in the area with an interest in improving their urban environment are identified who are then tasked with redesigning their space using Minecraft. At the end of the process, urban planners, architects and local policy makers are invited to participate in discussions on how best communities can improve their public spaces. Currently working in 35 countries across Africa, Latin America, Asia and Europe, the Block by Block Foundation has found by that by employing Minecraft, people’s interest in urban design and planning increases significantly. Enabling visual expression, the process also encourages a degree of computer literacy, as well as a broader understanding of the urban environment. 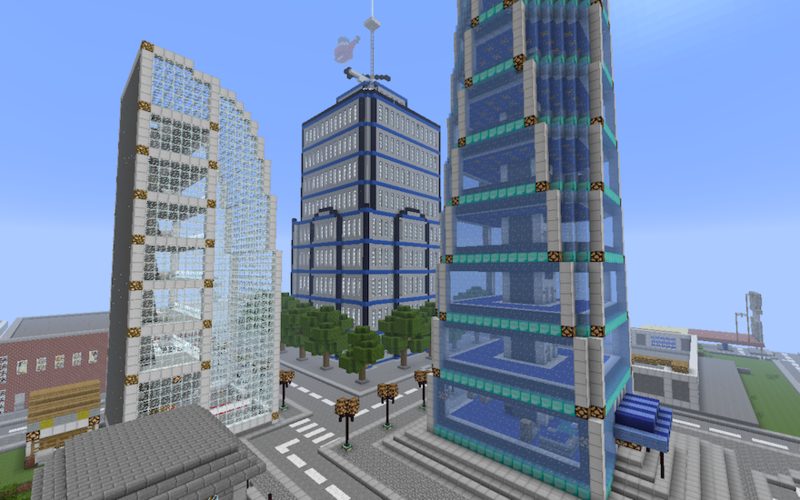 So far, Block by Block has held Minecraft workshops in a handful of countries. Kosovo, one of the poorest countries in Europe, with a history of conflict, was selected as the first implementation site. More than 70 local residents came together to use Minecraft to redesign the Sunny Hill former marketplace and their designs are now being implemented through a co-funding mechanism between Block by Block, the Municipality of Pristina and the UN-Habitat Office in Kosovo.